If you are a bike enthusiast, you know how that your bike takes a lot of wear and tear, either on or off-road. You also know that, just because you put your bike through the paces, you still want it to look great. One of the best ways you can protect your investment is to consider bike frame powder coating. More durable than paint, powder coating is a great way to get a vibrant, eye-catching bike frame that will stand up to the elements for years to come. Because powder coating is available in such a wide variety of colors, it is also a fantastic way to customize your bike to reflect your personality. 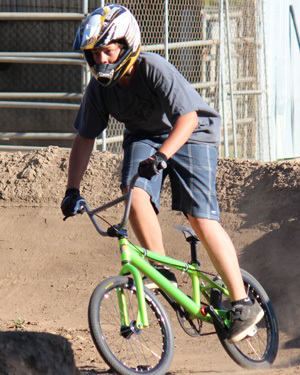 Powder coating bicycles is growing in popularity, particularly in the BMX circuit, because it allows for complete color customization while providing a strong, durable finish that can hold up well under extreme circumstances. Another great use for powder coating is to help restore an old bike frame to look as good as new. With a small investment, you can turn that dirt-cheap Craig’s List find into a stunning new ride. When it comes to powder coating bikes, Electro Tech Coatings has been proudly serving the San Diego area for nearly 20 years. Whether you want to protect your bike against future damage, make it look great with a new, vibrant color or restore an old bike, we can provide you with the professional, top-quality service that you expect. We understand that you want results you can trust as well as the personalized service that values you as a customer. We are ready to serve you. While the powder coating bike frame cost can vary according to how simple or how elaborate your vision, the process is far more affordable than you think. If you would like an estimate on our powder coating services, as well as more information on all of the unique color and texture options, contact us today!